Take only photos, leave only footprints…and fuzz sticks. *Before you eagle eyed grammarians swoop down on the title, the choice of words is deliberate. Natural cordage making is perhaps the second most difficult skill to learn in the outdoors (second to fire and maybe third to edible/medicinal plant knowledge). In fact, when you learn how to make cordage from the wild, you gain a new sense of appreciation for the durability and strength of synthetic cordage. Once we learn how to make cordage, we have to learn to maintain it or we face frayed knots and a handful of bird’s nest tangled mess. The time we spend rectifying our cordage is time wasted when it could be time spent enjoying the outdoors. Some will choose to pull out a knife or set of shears and simply clip away the mess but they choose to “cut cordage”, a decision that will make some of you cringe. Cordage maintenance is important and with a little know how, you can ensure your cordage stays strong, knot free and ready to use. A pet peeve of mine is messy paracord ends. Paracord is God’s gift to outdoorsmen as it has 1001 uses and when the inner strands are separated from the outer braid, it has 1000 more. 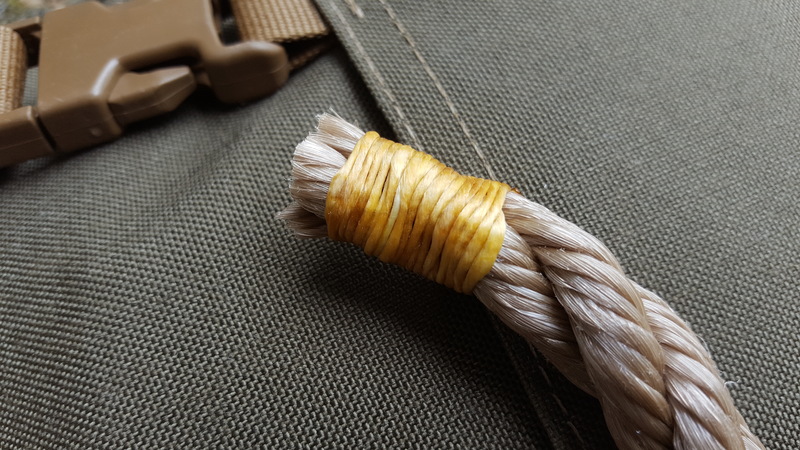 Since paracord is synthetic, it can be cut and burned to keep the ends neat. If it is not burned, the inner strands will migrate deeper inside the hollow braided sheath and the sheath will start to unravel. If the ends are burned too much or if too much melted plastic is left on the cord, it may not pull through a knot when needed. 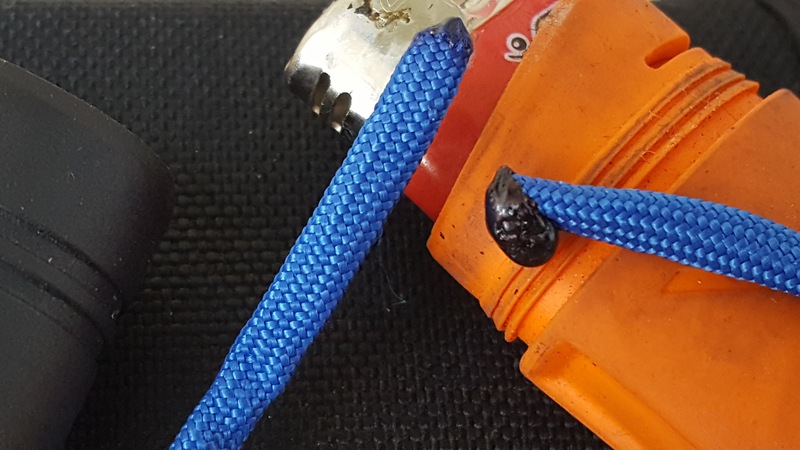 Depending on your application, you may want to “mushroom” the melted end to prevent this or use the metal on your lighter or wooden match to pull the excess plastic to a stubby point. Be careful to not let this plastic fall on your skin as it will burn you badly. Years of burning paracord have left me with one or two memorable scars from accidental contact. If you are wondering, you can even tuck a heavy duty needle or handcuff shim inside the paracord braid and burn it shut. The knowledge you pick up as a traveling professional survival instructor. Larger-diameter multi-strand braided cordage will start to unravel if you don’t whip the ends. 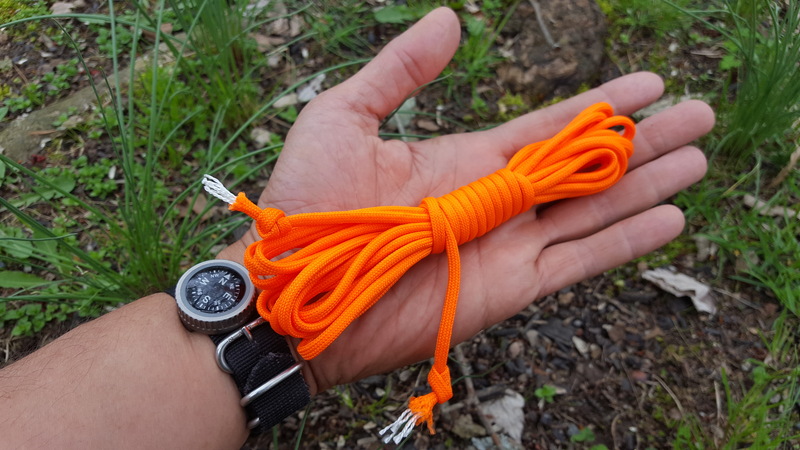 Whipping is a process that can be used on cordage as well as flashlight tubes, hiking pole handles or anywhere else you require a textured cordage grip. Whipping cinches the end tightly and prevents the larger diameter cordage from coming undone. To whip, a bite is held in place with a finger or thin diameter cord. The bite is wrapped around repeatedly until the working end can be passed through. The standing end is then pulled and the bite is pulled under the whipping and out of view. Whipping can be accomplished with gutted (I call it neutered) 550 cord or even dental floss which is nothing more than waxed thread. 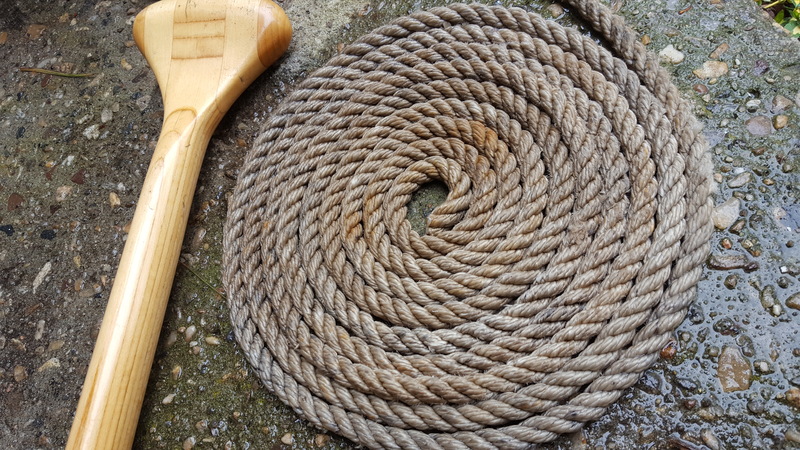 you choose, you’ll find the best way to keep your line coil free is to run your rope/line (rope is cordage found on land, line is cordage found on watercraft) in a figure-of-eight pattern. This way, when it deploys, it will do so without tangling. If you finish your coil with half hitch, you’ll find the other end of your line will deploy freely with a tug and won’t tangle at all. This is the method I use for tucking 50 pound braided Spiderwire in my hollow handle survival knives from Martin Knives. It is also how I learned to store long lengths of rope back when I was more into rock climbing. Another method of coiling line or webbing is daisy chaining it. This method is popular with mountaineers, climbers, and boaters. It can also be done with multiple strands of line simultaneously as can be witnessed in a drop zone when parachutists gather their chute lines as they walk off. To tie a daisy chain, a series of bends of rope are linked together. 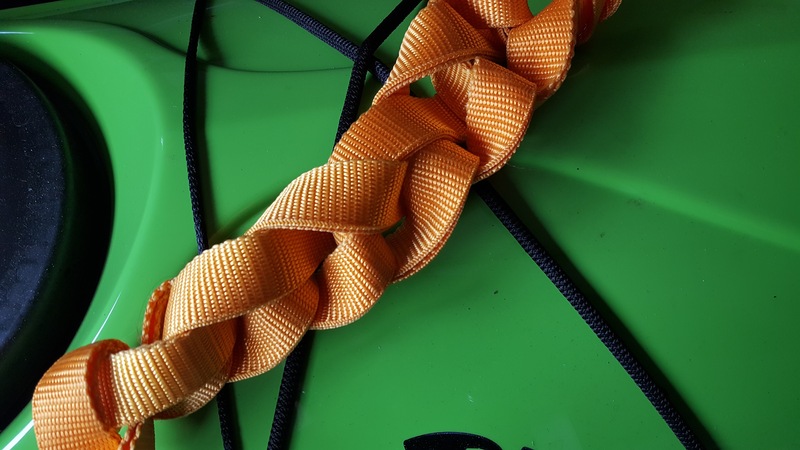 This method works exceptionally well with flat webbing and can be used to keep cam buckle straps orderly in the back of an overland vehicle or when not in use in a bush plane, canoe, or just your garage hanging on the wall. This method of maintaining your dock line is more decorative than the figure-of-eight coiling and daisy chaining previously described but it is not without function. If dock lines aren’t maintained and stored properly, they can be tripped over. Just imagine the frustration of dropping something important into the water because you tripped over a line. Flemish Coiling (also referred to as the “Flemish Flake”) is best used for short stays and critics will rightfully state it can cause twists in the line if pulled from the center. However, if you are looking to impress your friends and give them a royal treatment on your boat, a little style can’t hurt. This type of coiling is a forceful habit of mine and I find myself doing this when I visit friends’ boats.